The Rampage 20-60x60 Spotting Scope Kit from Redfield is an all-in-one glassing setup that comes with a compact tripod, carrying case with strap, and view-thru case that has fold-down objective and eyepiece access that allows the observer to use their scope without removing the case. 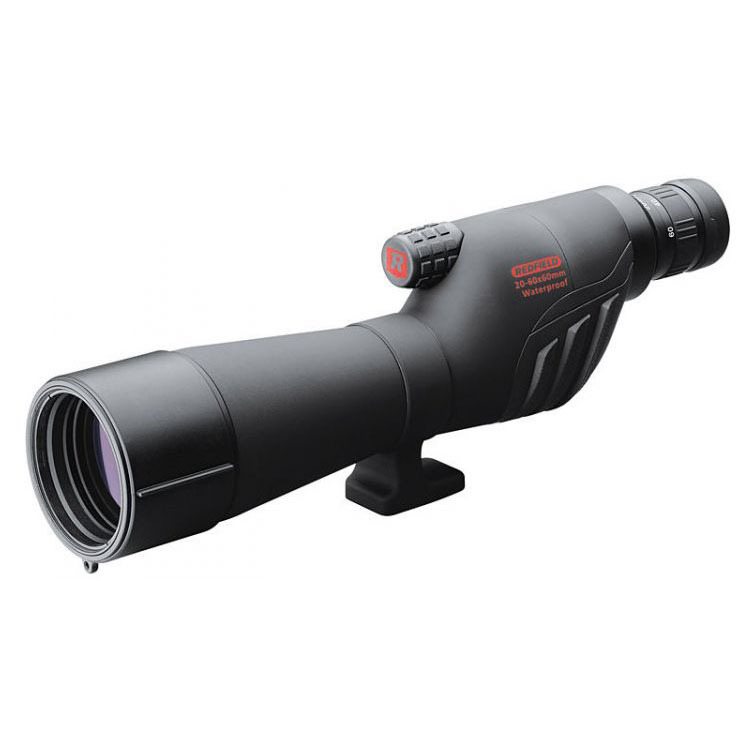 The Rampage scope has a fully multicoated optical path that uses BaK-4 prism glass to maximize image brightness and clarity. 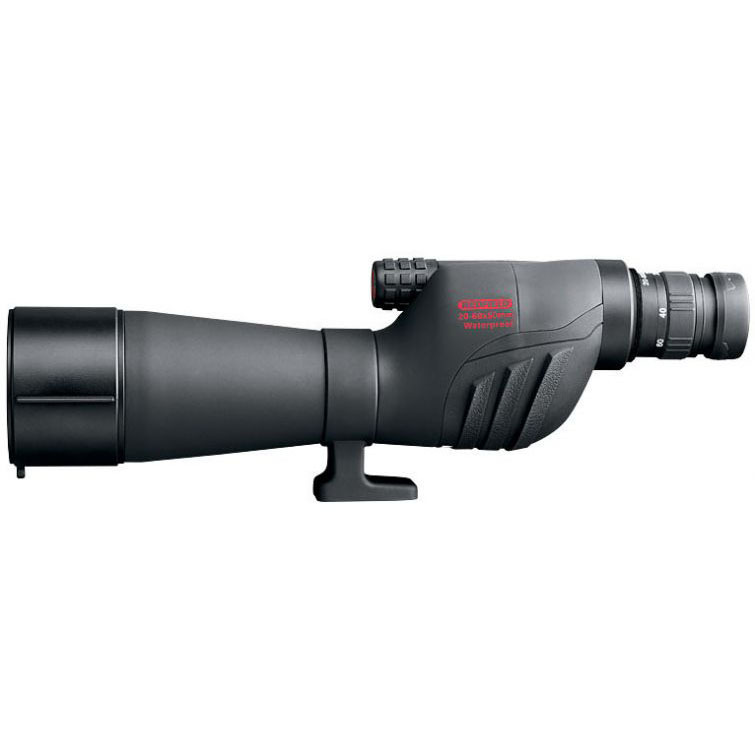 A 20-60x zoom range and 20-foot close focus distance make this configuration of the Rampage scope well-suited for intermediate to long-range observations. A nitrogen-filled polycarbonate housing makes the Rampage scope both lightweight and ready to endure the elements. Complementing the durable housing is rubber armoring and slip-resistant ridges that are especially useful when mounting or focusing this optic while wearing winter gloves. Deep knurling on the focus knob's rubber gripping surfaces yield tactile feedback and enhance control. 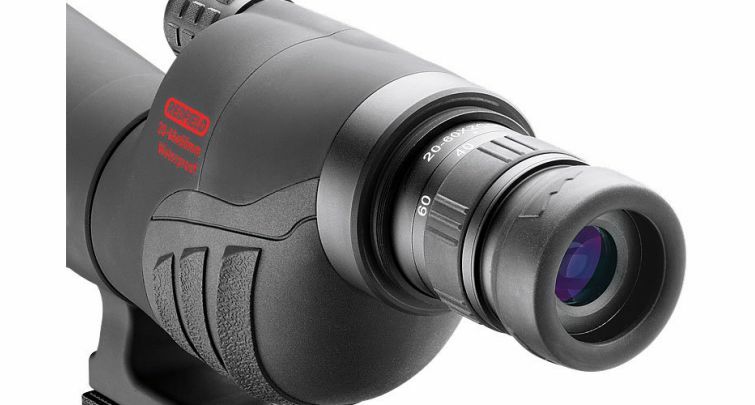 Further enhancing the user-friendly features of the Rampage scope is a twist-up eyecup and a generous 17-14mm eye relief that helps to provide a comfortable viewing experience for eyeglass wearers.